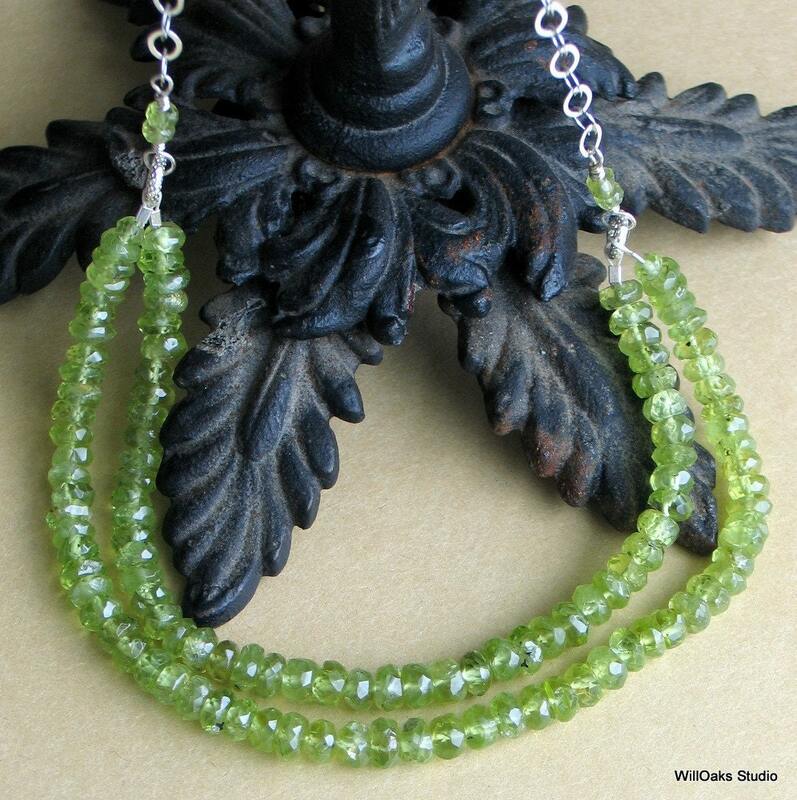 A collection of slightly rustic faceted peridot rondelles kept simple, clean and focused for anyone who loves this fresh, natural green stone. A bib necklace designed to transition from tank tops to collars, from summer into winter. 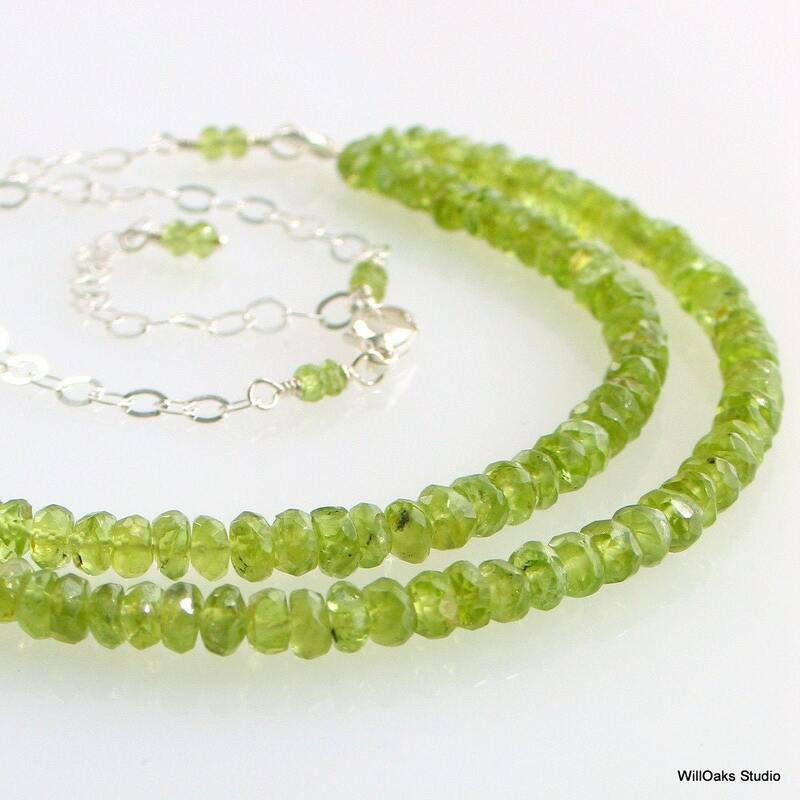 Two lengths of peridot, shorter and a little longer, are strung on sterling plated steel beading cable and then attached to small sterling rings. 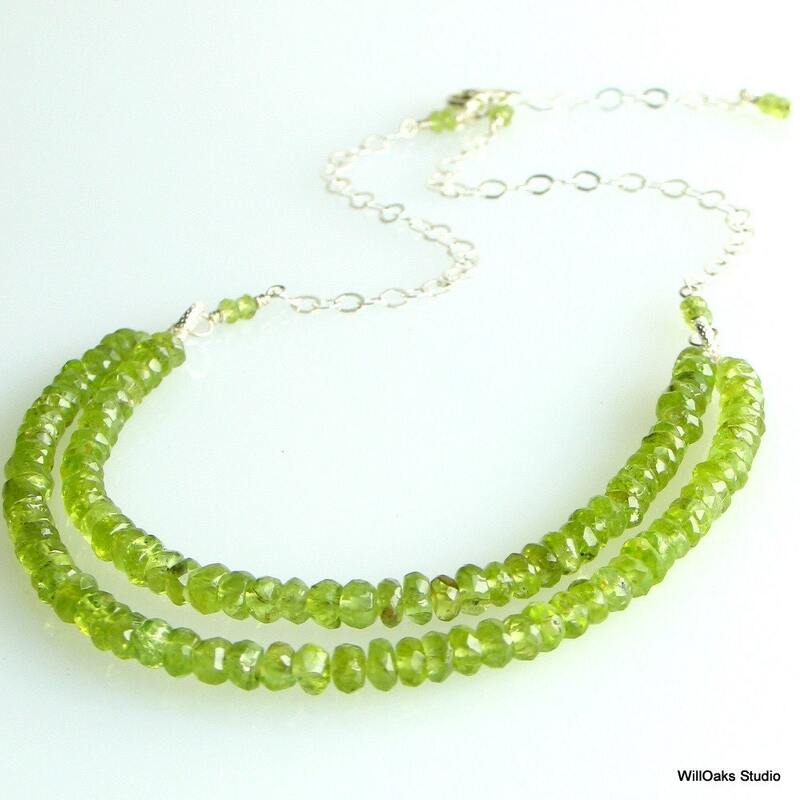 Two links, each with a couple of smaller peridot embellishments, attach the sterling chains which terminate with a silver lobster claw and an extension chain. 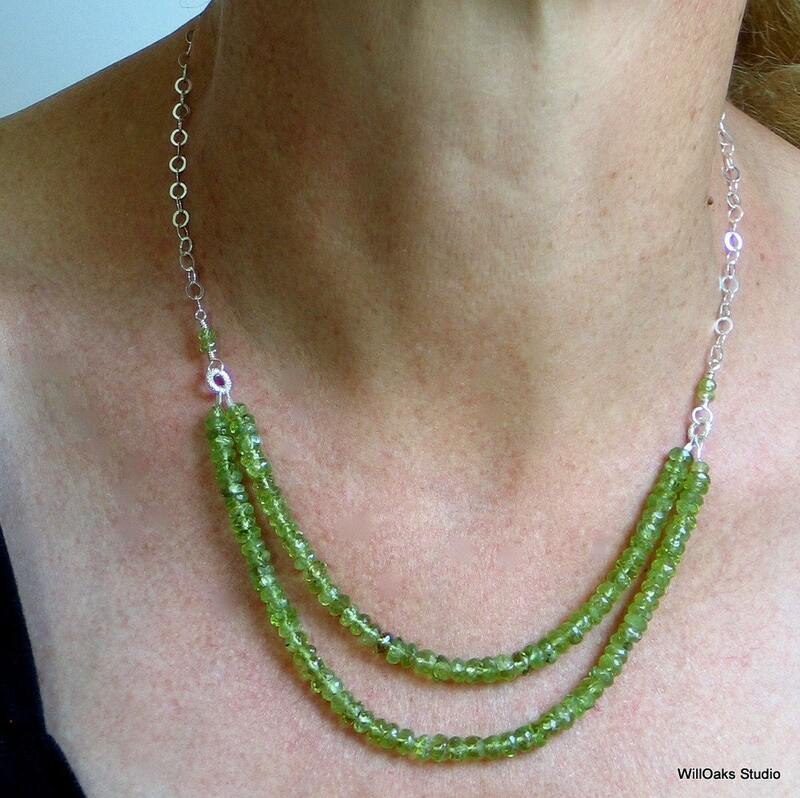 The necklace adjusts from 16 1/2" to almost 19" and a final pair of faceted peridot rondelles dangles from the extension chain. One of a kind. Presented in my signature box, ready to mail and to gift.